Foster homes are the core of our rescue! We are not a shelter and do not have facilities to house dogs – without foster homes, we simply could not exist. We depend on our foster homes to be committed families and individuals that are ready to provide care and guidance as our pups start their journey towards their forever home. We ask that our foster homes provide an environment for the rescued huskies to thrive in until their forever homes are found. 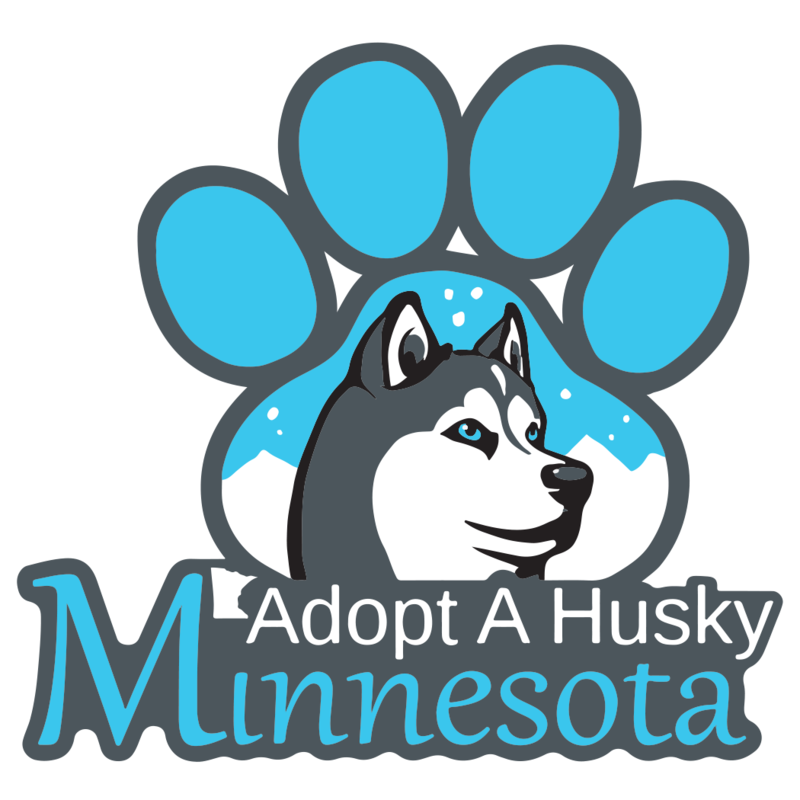 Adopt A Husky Minnesota covers all medical expenses (provided at our selected vet partners), equipment (kennels, leashes, collars, etc), and if needed, training and food. A loving home environment with a commitment to assist their foster dog to grow by providing daily structure, regular feeding schedules, and basic training. As a foster parent you are also expected to take your foster dog to all necessary vet appointments as well as administer medications if needed. We can offer assistance with rides if needed through our transport team. We also need your help to find your foster dog the perfect home! Our foster homes are responsible for providing Adopt A Husky Minnesota with biographies that describe the dog’s likes and dislikes, personalities traits and quirks, as well as provide clear photos for their webpage. While not a requirement, we strongly suggest our foster homes use social media to spread the woof about their foster dogs. Share pictures and updates of your foster often to bring in more applications. Bring your foster to adoption events. Our Events Team works hard to schedule events for the public to meet our adoptable dogs. We ask that our foster homes make an effort to attend events with their fosters. We understand this isn’t always possible, we can work with you to find other volunteers to bring them if you are not able to attend. Most of all we are looking for fosters that are committed to the process. Foster care can last anywhere from a couple weeks to a few months, we can never tell how quickly a dog will find their forever home. Making the commitment to be a foster is extremely rewarding, but is not without its challenges. Luckily, we have a great support system of foster coordinators and volunteers that are here to support you as well and help you work through any issues that might arise.